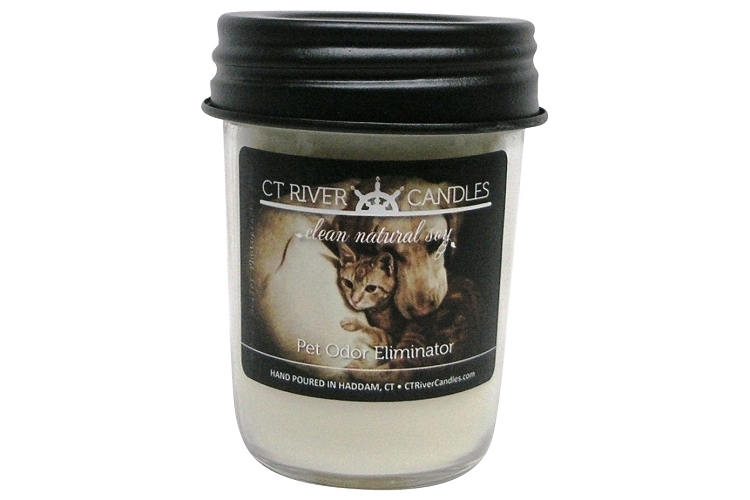 Our Pet Odor Eliminator Preserver Jar Soy Candles are perfect for pet owners. This fragrance, infused with natural essential oils of Orange, Grapefruit and Cinnamon, works great to get rid of pet, smoke and cooking odors. The adorable label photo, compliments of Heller Photography, makes it extra special. Our CT River inspired Soy Candles are hand poured using 100% soy wax in 16 oz smooth mason jars.We use only the finest fragrance oils and offer a large variety of wonderful scents.